Women’s hearts are different than men’s. Women experience different symptoms than men. 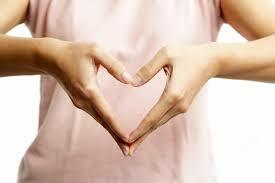 Many women do not have intense chest pain like men. They tend to have more “silent" heart attacks. Symptoms are often described as a less serious condition like the flu or indigestion, and may appear a month or even a year in advance. Symptoms in women one month before a heart attack can include: sleep disturbance, unusual fatigue, shortness of breath, indigestion, anxiety, heart racing, and weak or heavy arms. February is Heart Health month. Learn more to protect yourself and/or and those you love. Click this link: For Her Heart’s Sake DID YOU KNOW?